The White House Council of Economic Advisers released its Economic Report to the President on Thursday, outlining the administration’s economic projections and policies. The report shows that the White House is expecting mass unemployment to continue for years, with only minor decreases from the current rate of nearly 10 percent through 2012. 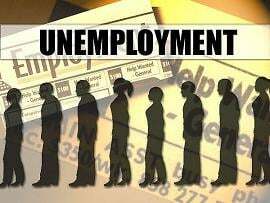 According to the report, the official unemployment rate—which does not include those who have given up looking for work—will remain at 10 percent this year, slightly higher than its current 9.7 percent. In 2011, it is expected to fall to 9.2 percent, and in 2012 to 8.2 percent. Official unemployment is not expected to fall below 6 percent until 2015, and will remain above 5 percent through 2020. The projections are in fact optimistic. They are based on the assumption that real GDP will grow by 3.0 percent this year (4th quarter to 4th quarter), and 4.3 percent in 2011. This compares to real GDP growth of -1.9 percent in 2008 and -0.5 percent in 2009. The proposals that the report outlines to address the crisis are derisory, focusing largely on tax breaks, continuing the administration’s policy of rejecting any direct government hiring. High unemployment makes “a compelling case for additional measures to spur private sector job creation,” the report states. This latter proposal will do little to revive small business hiring. Large banks, the recipients of trillions of dollars of loans from the government, have squeezed off financing. The administration has proposed no measures to force banks to lend, the nominal purpose of the bank bailouts. Other proposals include “initiatives to encourage energy efficiency” and the possibility of an additional $50 billion in infrastructure spending, funneled through private companies. The White House report comes as Senate Democrats are preparing to push through a “jobs” bill that largely follows the prescriptions set out by the administration. There has been some political infighting within the Democratic Party and between leading Democrats and Republicans over the precise scope of the bill and what assortment of tax breaks will be included, but none of the proposals contain any serious measures to alleviate unemployment. On Thursday, Senate Majority Leader Harry Reid surprised some leading Democrats when he announced that he was not supporting a bipartisan bill worked out by Senate Democrat Max Baucus and Republican Charles Grassley, but was instead advancing a more pared-down version. Liberal Democrats have hailed Reid’s move because it throws out certain tax breaks for Republicans. However, it also removes an extension on unemployment benefits and subsidies to help the jobless keep their health insurance. Reid’s proposal would amount to $15 billion over 10 years, a sum that hardly rises to the level of paltry in comparison to the level of unemployment. Its centerpiece is a tax break for businesses that hire unemployed workers, waiving the 6.2 percent Social Security tax. The measure would provide a perverse incentive for employers to lay off older workers and hire those who have been out of work. Another component would give a $1,000 credit for business that retain new employees for at least one year. Reid’s bill would also allow businesses to accelerate the tax write-off for capital investments. It would reauthorize spending on some ongoing construction projects and would give a small federal subsidy to states to help cover interest on loans for public works projects. This last measure only serves to underscore the determination of the federal government to force states to balance their budgets by slashing jobs and social programs. In January alone, 40,000 local and state government jobs were eliminated. The projected budget deficit for the states in the coming fiscal year is $142 billion, exceeding the $125 billion gap last year. These deficits are many times the amount the Democrats propose to spend on jobs over the next ten years. The broader bill agreed by Baucus and Grassley was estimated to cost $85 billion over ten years and included a number of additional tax breaks, mainly for corporations, as well as the extension of unemployment benefits. “Even the Obama administration acknowledges the legislation’s centerpiece—a tax cut for businesses that hire unemployed workers—would work only on the margins,” the AP reported. The AP cited a report from the Congressional Budget Office that estimated that the Social Security tax break would generate only 18 full-time jobs per $1 million spent. Some 14.8 million Americans are presently unemployed, and 8.4 million jobs have been wiped out since December 2007. The jobs proposals are part of a deliberate policy of the Obama administration, supported by Congressional Democrats and Republicans. The bailout of the banks has created conditions for record bonuses and profits for Wall Street firms, while massively increasing government debt. Not only will there be no measures taken to alleviate the jobs crisis; the government is determined to pay off these debts at the expense of the working class.